In empirical studies, survey questions are typically used to measure trust; trust games are also used to measure interpersonal trust. In this paper, we measure trust in different institutions by using both trust games and survey questions. We find that generalized trust is only weakly correlated with trust in specific institutions, when elicited both by using a trust game and by using survey questions. However, the correlation between trust in a specific institution elicited through a trust game and stated trust for the same institution is stronger and statistically significant. 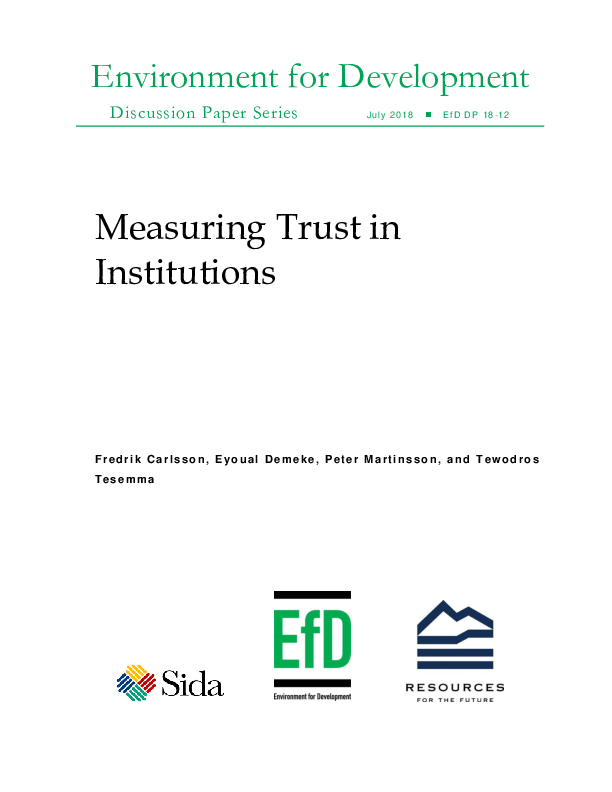 Thus, our findings suggest that generalized trust is not an appropriate measure of institutional trust and that more specific institutional trust measures should be used.